Tai Chi was formed by combining the principles of yin-yang philosophy and Chinese medicine with the movements of Chinese martial arts. Tai Chi is a key element of Chinese traditional culture, and involves the cultivation of soft and flowing internal kung fu. Called Taiji Quan (Supreme Ultimate Fist) in Chinese, infuses the opposing yet complementary principles of yin and yang into every movement. Tai Chi is much more than the slow, controlled movements you see on the surface – you need to understand what the Supreme Ultimate is, and you need to understand yin-yang philosophy, before you can claim to fully understand Tai Chi. The philosophical concept of "Taiji" or the Supreme Ultimate, from which all of existence flows, is an important part of traditional Chinese culture, and explains why some people refer to Tai Chi as a “philosopher’s martial art”. The symbol of Tai Chi is the yin-yang. This is a circle divided into two swirling halves – the black yin and the white yang – intertwined with each other in an endless cycle. There is a black spot in the white half and a white spot in the black, representing the fact that there is always a little bit of yin in yang, and vice versa. The S-shaped line dividing them represents the ever-changing and interchangeable nature of the two sides, which are nevertheless always in perfect balance. The concept of Taiji originated from the earlier notion of wuji, a shapeless, limitless state that was the origin of the universe. The movement of qi (life force) incorporates yin and yang into wuji, so when practising tai chi one must always embody the yin and yang of Taiji. This requires understanding how to generate inner power and how to move this qi so your body can transition between yin and yang, remembering that yin always contains yang and yang always contains yin. However, never forget that tai chi is a martial art and was designed for self-defence. Martial arts are broadly split into internal or ‘soft’ styles and external or ‘hard’ styles, but the one trait they have in common is that they can all be used for attack and defence. This principle applies also to tai chi. 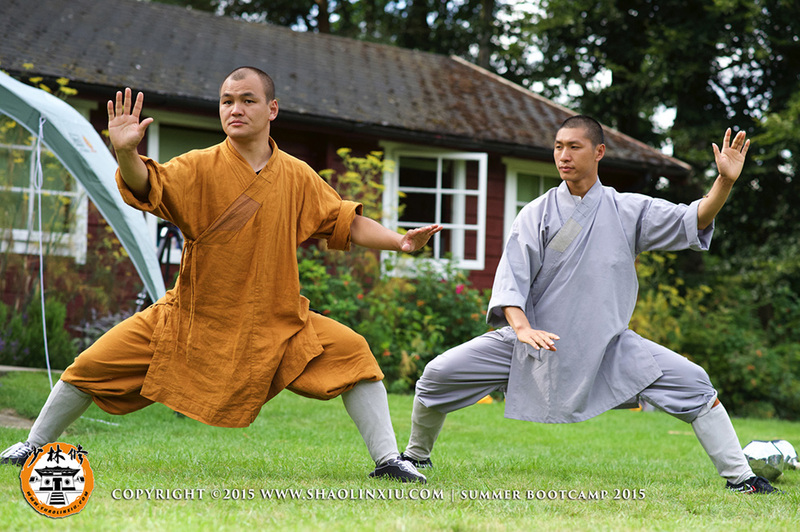 Therefore, Tai Chi can be thought of as a medium, something that conveys different philosophies and different cultures to create a unique martial art. Tai Chi brings Chinese kung fu together with the concept of yin and yang and traditional Chinese medicine to form a complete philosophical system. Its mantra is to achieve peace and harmony through the understanding of Taiji and the balance of yin and yang. Tai Chi is suitable for all ages, from children and adults to the elderly. Long-term practice can increase longevity and help address any issues with your joints, muscles, or circulation.